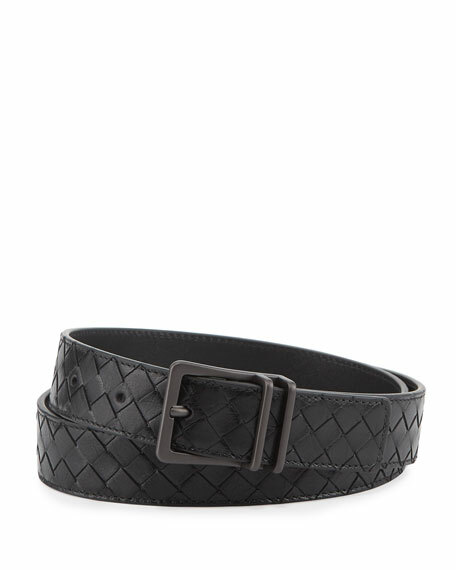 Bottega Veneta men's belt in signature intrecciato woven calf leather. Slim, flat metal pin buckle in gunmetal. Alexander McQueen bumbag in leather detail. Front zip pocket Zip around top closure. Adjustable web strap. Calf leather. Made in Italy.